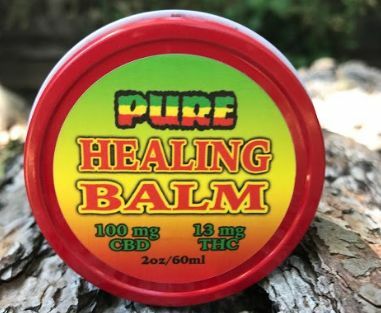 Natural Organic Pain Relieving Rub made from high CBD Cannabis infused Coconut Oil, Beeswax, Shea Butter, Arnica Oil, Lavender Oil, Eucalyptus Oil, Peppermint Oil, Vitamin E Oil. Made using whole plants of a single strain, "Harlequin", grown organically in living soil and full sun. Contains 50mg CBD and 7mg THC in this 1 oz container. A little goes a long way and lasts a while with immediate relief where it is needed. Very good on sore and strained muscles, joint pain including arthritis. Also effective on skin ailments like dry and cracking skin, Psoriasis, Eczema, skin spots, scar tissue, and sores. Also works on head aches and migraines by rubbing into temples and around ears and chest congestion. Natural Organic Pain Relieving Rub made from high CBD Cannabis infused Coconut Oil, Beeswax, Shea Butter, Arnica Oil, Frankincense Oil, Cinnamon Oil, Vitamin E Oil. Made using whole plants of a single strain, "Harlequin", grown organically in living soil and full sun. Contains 100mg CBD and 13mg THC in this 2 oz container. A little goes a long way and lasts a while with immediate relief where it is needed. Very good on sore and strained muscles, joint pain including arthritis. This blend is especially made for sore muscles and joints as the cinnamon produces a slight warming feeling. Also effective on skin ailments like dry and cracking skin, Psoriasis, Eczema, skin spots, scar tissue, and sores. Also works on head aches and migraines by rubbing into temples and around ears and chest congestion. Careful around eyes and open wounds or burns due to burning from cinnamon oil. 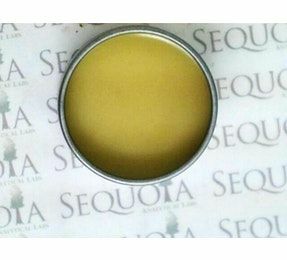 Natural Organic Pain Relieving Rub made from high CBD Cannabis infused Coconut Oil, Beeswax, Shea Butter, Arnica Oil, Lavender Oil, Eucalyptus Oil, Peppermint Oil, Vitamin E Oil. Made using whole plants of a single strain, "Harlequin", grown organically in living soil and full sun. Contains 400mg CBD and 52mg THC in this 8 oz jar. A little goes a long way and lasts a while with immediate relief where it is needed. Very good on sore and strained muscles, joint pain including arthritis. Also effective on skin ailments like dry and cracking skin, Psoriasis, Eczema, skin spots, scar tissue, and sores. Also works on head aches and migraines by rubbing into temples and around ears and chest congestion. Medicated soaps add an invigorating sense to your bathing experience. Also great for soothing skin irritations. 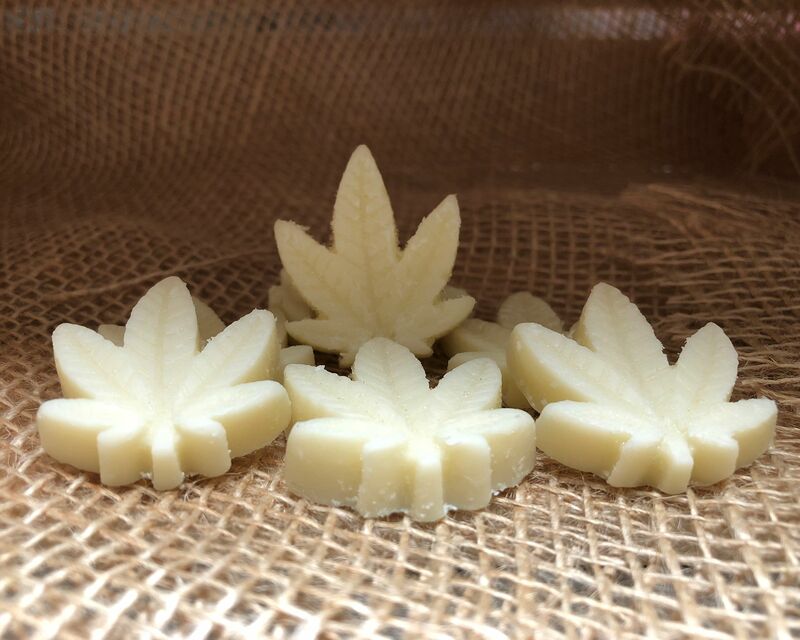 Each packet of soap is made from our own Pure Coconut Oil and contains 50mg THC/7mg CBD. Medicated soaps add an invigorating sense to your bathing experience. Also great for soothing skin irritations. 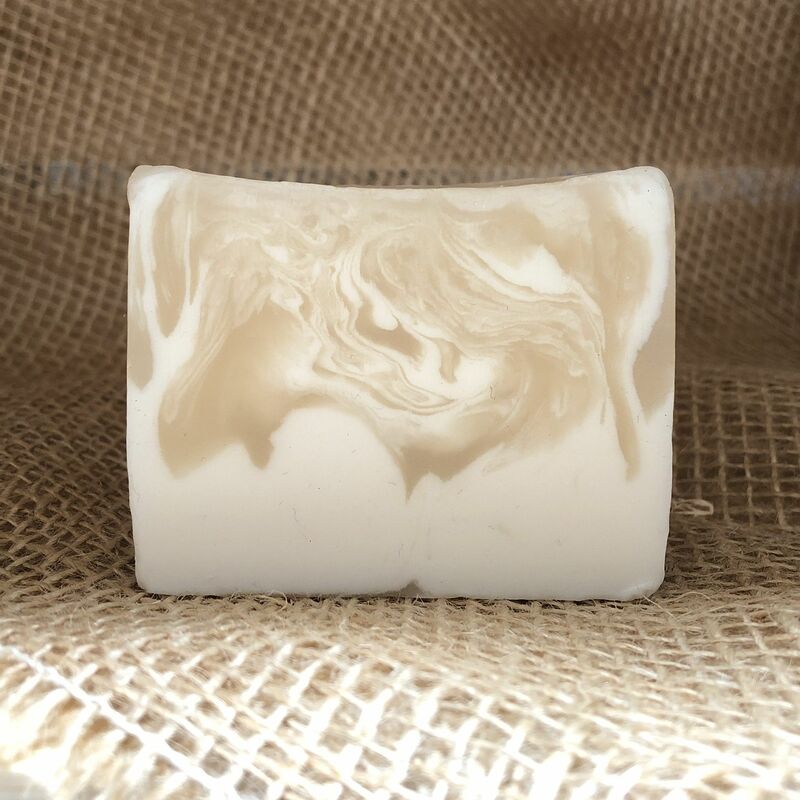 Our soaps are made from our own Pure Coconut Oil and contain 100mg THC/14mg CBD.